The ECOSYS FS-C8650DN color printer builds on the power, performance, quality and ultra-reliability that are hallmarks of Kyocera's high-volume printing products. 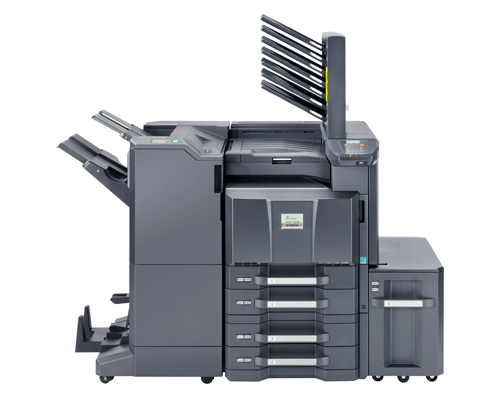 Fast output speeds of 55 ppm black and 50 ppm color maximize print efficiency for busy workgroups, while advanced functionality and a host of standard features enhance productivity. The long-life consumables technology maximizes reliability while significantly reducing the frequency of service calls. With the FS-C8650DN, users can be confident of the unparalleled quality, security and efficiency that high-volume output demands.